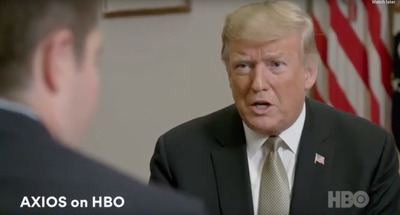 Axios on HBOPresident Donald Trump talking to ‘Axios on HBO’ about ending birthright citizenship. President Donald Trump says he’s planning to sign an executive order to end what he called the “ridiculous” practice of granting citizenship to children born in the US to noncitizen parents. The 14th Amendment to the US Constitution, ratified by Congress in 1868 as part of the civil-rights amendments after the Civil War, says all people born in the US are citizens. With the order, Trump’s lawyers would most likely argue that the amendment doesn’t apply to children of unauthorised immigrants. President Donald Trump plans to sign an executive order meant to end what he called the “ridiculous” practice of extending citizenship to children born in the US to noncitizen parents. 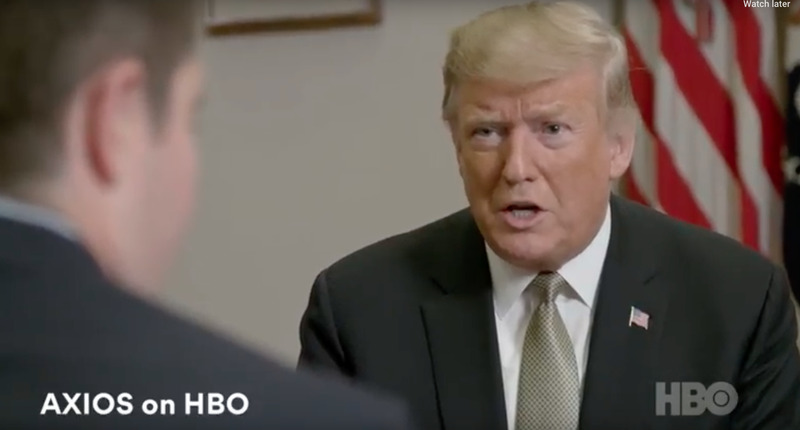 In a video of the interview published by Axios, Trump did not elaborate on the legal arguments an executive order would include. The proposal, which is sure to face challenges in court, would probably seek to deny citizenship only to children born in the US to unauthorised immigrant parents. Trump’s lawyers would most likely argue that the amendment applies only to children of lawful US residents and not unauthorised immigrants or those on temporary visas. As Axios pointed out, more than 30 countries provide birthright citizenship, most of them in the Western Hemisphere.